Looking for a low risk tax deduction? Donate to a charity and invite the ATO to part-fund a good cause… What’s not to like? Donations must be made by June 30. Some of the charities we at Porters CA love and support are Teen Challenge WA, Anglicare WA, Rebound WA, Youth Focus, Brain Cancer research. Donate to your school, sporting club, people in need. What goes around comes around. Do a bit of research and find out where your charity is helping and how much of your donation makes a difference. 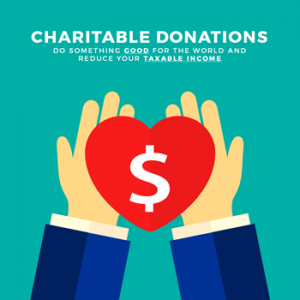 Ensure the charity you donate to is registered and keep your receipt. Porters raises funds for COGNO Cooperative Trials Group for Neuro-Oncology as our nominated charity in memory of Joe Porter who passed away from brain cancer in 2017.